Calling all budding paleontologists! Restore dinosaurs back to Earth and design your own colourful, sparkly pencil case with this DIY kit. 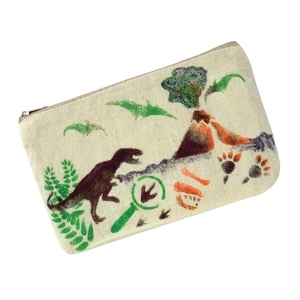 Includes dino stencils, a linen zipped case, glitter, and blow markers. Store all your favorite supplies in this sturdy carry-all case. Recommended for ages 5 - 9 years. 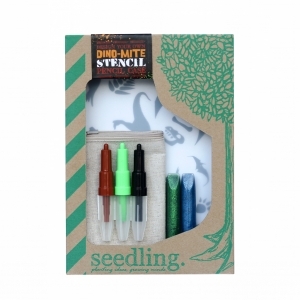 This Seedling Kit contains: Linen Pencil Case, Stencil Paper, Blow Markers, Glitter Glue and Instructions.